Very comfortable seats and excellent ride quality. Feels like a solid and well made car. Lags behind the competition when it comes to handling. Smaller engines lack refinement. 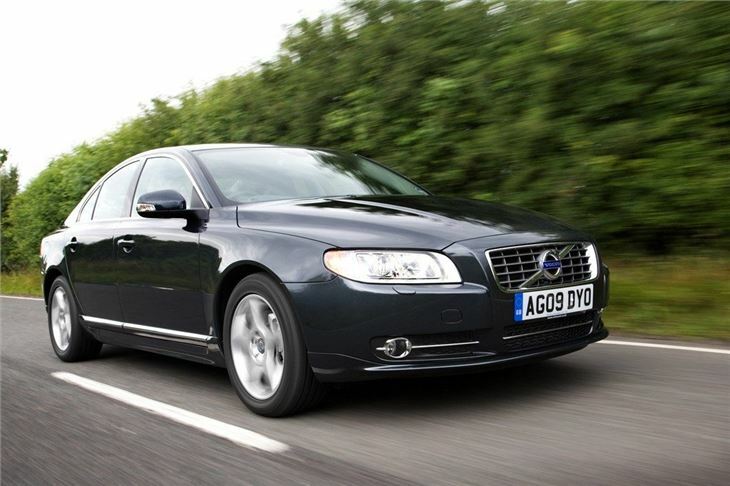 The front-wheel drive revolution at Volvo continued with the arrival of the S80 executive saloon, which consigned the rear-drive 900 Series models to the history books. 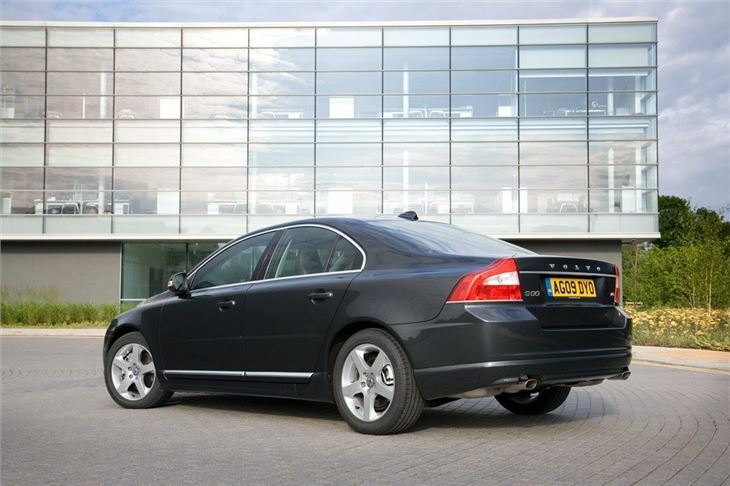 In one sweep, Volvo also put itself firmly into the mainstream of the executive class too. 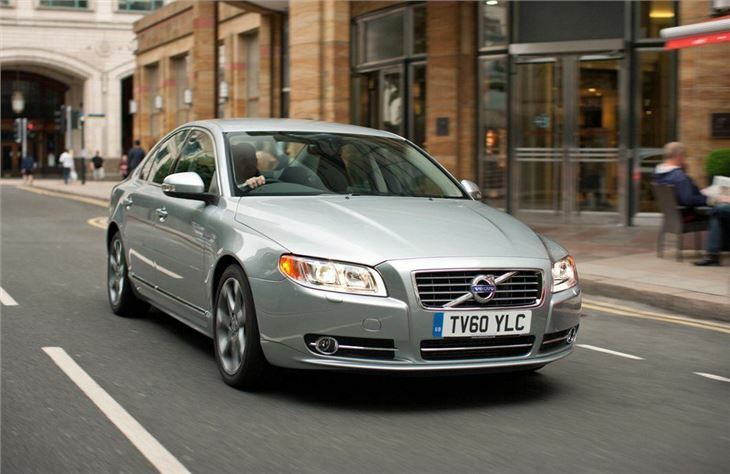 While the S80 does not worry the BMW 5 Series for dynamic ability, the Volvo does not pretend to be the last word in handling finesse. 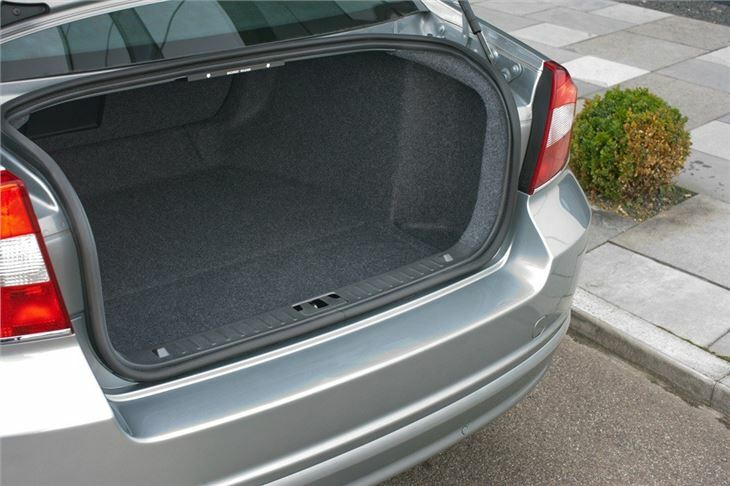 What it does deliver in large Scandinavian portions is comfort and space. If you’re considering an Audi A6 or Mercedes E-Class, think about the S80 before signing on the dotted line. 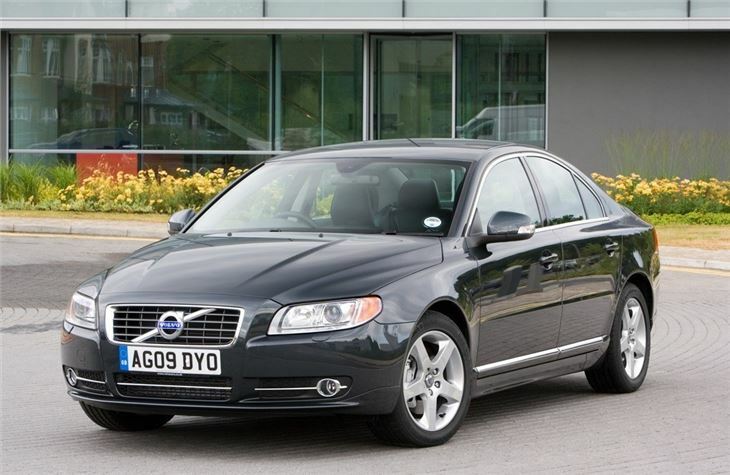 The S80 shares much of its chassis and mechanical parts with the V70 and XC90, so reliability is good and there are a fair spread of engines and transmission options. Most UK buyers will plump for the turbodiesel models, which are offered in 2.5 D 140PS and 163PS D5 forms, with a 185PS version of the D5 arriving in mid-2005 that also enjoyed a boost in mid-rev shove to 400Nm. 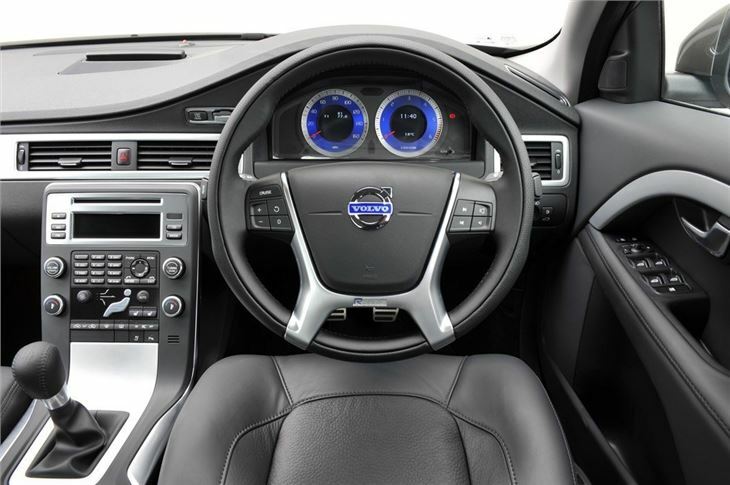 Most S80 models will be fitted with a five-speed Geartronic automatic gearbox, reflecting the predilections of buyers in this class and the type of car the S80 is. It’s a cruiser rather than a sports saloon, though there is the option of a 272PS T6 model with 2.9-litre six-cylinder turbo petrol engine. Other petrol motors include a non-turbo 2.9-litre with 196PS and Volvo’s usual five-cylinder range of 2.4-litre petrols with 140PS, 170PS and turbocharged 200PS and 210PS units. Rounding off the engine line-up is a 2.0-litre turbo five-cylinder engine with 180PS that joined the range in early 2003. 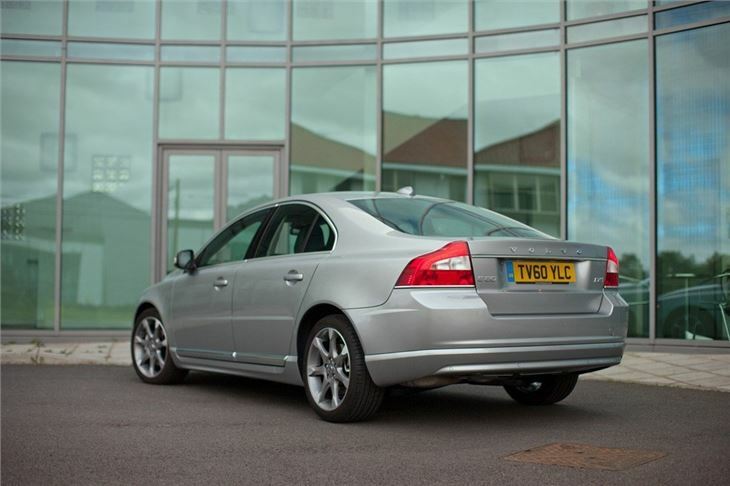 Performance varies from sedate to rapid depending on the engine you choose, but all S80’s have a very spacious, cosseting cabin. Rear seat passengers are treated to generous legroom, while the driver has Volvo’s typically thoughtful and logical dash layout to peruse. All models are underpinned by a long list of standard safety equipment. This includes twin front, side and curtain airbags, as well as anti-lock brakes, ESP traction control and anti-whiplash headrests. Built to last - beautifully!